Choosing a perfect gift for men has always been a tough task for women. To solve this problem, giftalove has bring forth a stylish 3 Piece Leather Set that will surely leave your good impression on others. 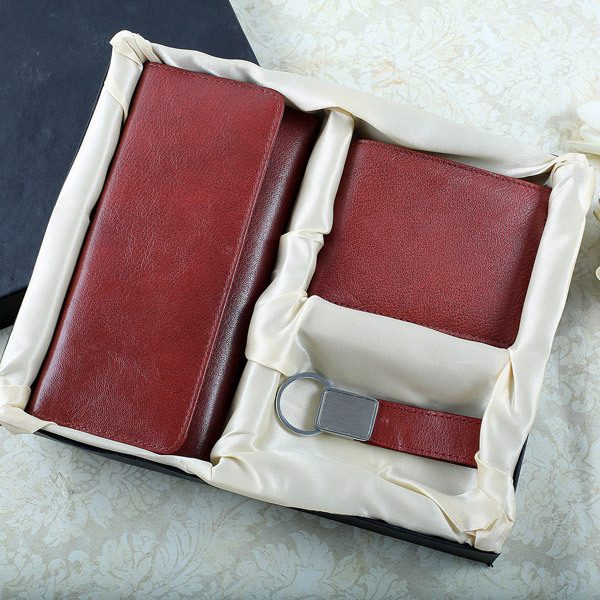 The set includes a big Leather Wallet/Card Holder (4X7.5 inches), small Wallet (5X4 inches) and a Key Chain (3 inches).